NIGHT HORSE (Sam James Velde/ Cold Sweat Records) has just finished it's debut record for North Atlantic Sound / Tee Pee Records. 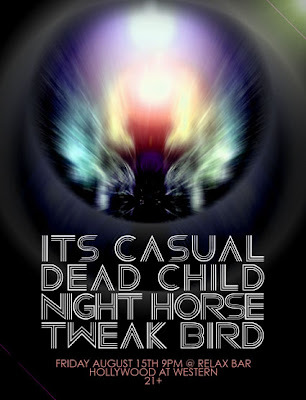 Engineered and mixed by Mattias Shneeberger ( Obsessed, Sunn 0))), Gutter Twins, Goatsnake). 6 songs for the CD / EP Vinyl releases. 7 Songs for the Download / TopSpin releases. The boys have begun playing live shows. Recently opening for Annihilation Time / Municipal Waste and Earthless / Titan in the last couple weeks. 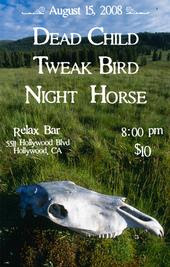 NIGHT HORSE will be playing live this Friday 8/15 at the Relax Bar in Hollywood. 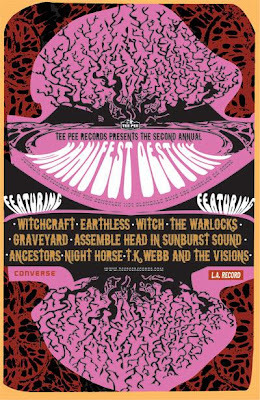 As well as part of TEE PEE Records "Manifest Destiny Festival" on September 7th with WITCH, GRAVEYARD, WARLOCKS, WITCHCRAFT and more.